Come slide and dance to the latest hits with guest, DJ Chris. WaterWorks Park has partnered with the United Way to bring you an evening of fun while supporting those who have been impacted by the Carr Fire. All the proceeds go to the Shasta County Fire Relief Fund and victims of the Carr Fire. Included: Live music, food, entertainment, glitter tattoos, photo booth and more. Come join us for a fun night filled with swimming and sliding. Local businesses have joined in to make this a great event. Cattlemens and Rico's Tacos are bringing you food, while Frozen Gourmet and Kona Ice are bringing you sweet treats. Wild with DJ Jake Easy will be playing the latest hits while you play in the waves at Cowabunga Beach. Snap a pic with Viva La Foto to remember this special night where the community came together to support each other. Bring the kids out for a splashing good time and support your friends and neighbors through this tough time. It's Family Night - Karaoke Night at WaterWorks Park. Is your little one a performer or just likes to sing and have fun? Come on down and belt out your favorite tunes. When the stage show is over play in the waves of Cowabunga Beach, slay the Dragon or get a glitter tattoo. There will be a gift basket raffle so enter to win! Admission from 5pm-8pm: $16.95 with a meal or $12.95 without a meal. Season Pass holders get in FREE. Come see all the creeeepy crawlies 🐍here at WaterWorks Park. Learn what snakes eat and where lizards sleep 🐲. This is a hands on event, so kids get to hold and pet the critters. When the show is done, slay the Dragon, bounce in the jumpy house or get a glitter tattoo. Don't forget the enter the gift basket raffle! It's Family Night - Karaoke Night this Sunday from 5-8pm at WaterWorks Park. Is your little one a performer or just likes to sing and have fun? Come on down and belt out your favorite tunes. When the stage show is over play in the waves of Cowabunga Beach, slay the Dragon or get a glitter tattoo. There’s a gift basket, so enter to win! The Beach is here! Come down and try out the new Wave Pool, Cowabunga Beach! Stand in the shallows and let the waves lap at your feet or be more adventurous and play in the waves! There is something fun for all ages. GRAND OPENING OF COWABUNGA BEACH! 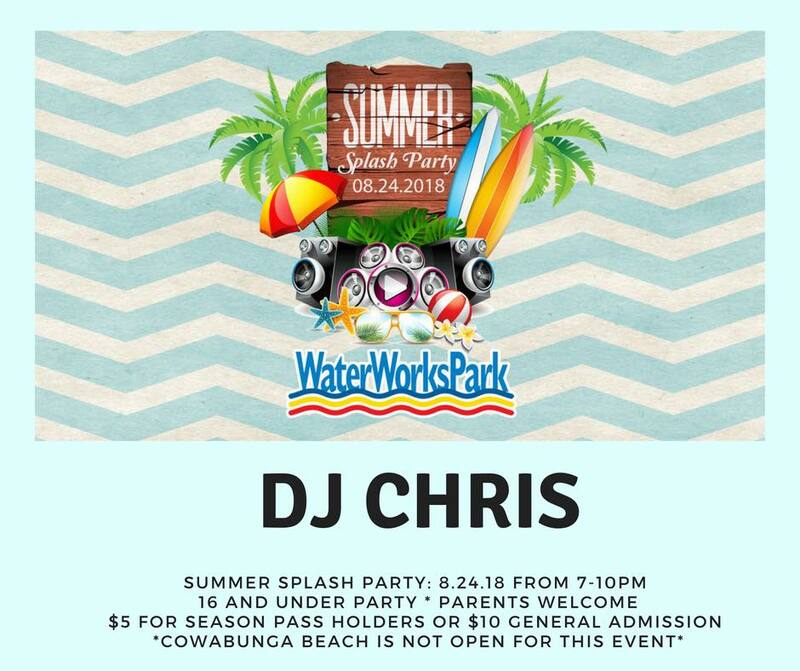 WaterWorks Park is bringing the beach to Redding! Come play in the waves or stand in the shallows as the water laps at your toes. This Grand Opening event will include entertainment, music, prizes and much more. Don't miss out on the event of the summer! WaterWorks Park is Bringing the Beach to Redding! 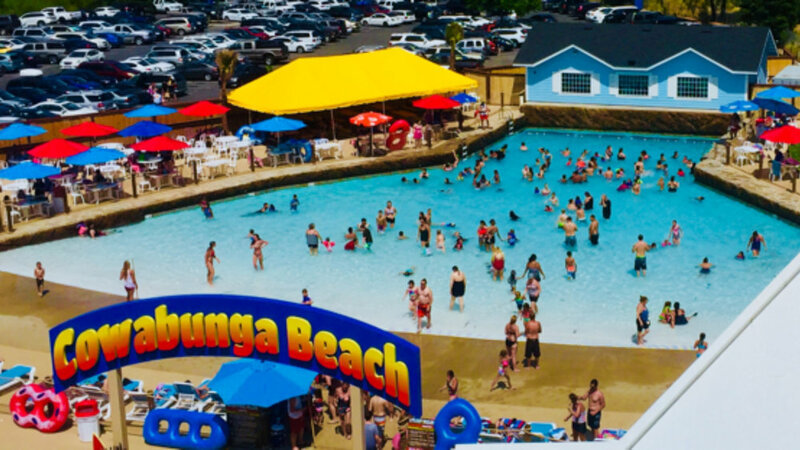 We are excited to announce that WaterWorks Park will be adding COWABUNGA BEACH, a 10,000 square foot wave pool to our list of attractions. At Cowabunga Beach guests will be able to have fun swimming and jumping in the waves just like they were at the beach, without getting all that sand everywhere. Hang out in the shallows and feel the waves lap against your feet or be more adventurous and swim and splash in the 4ft waves further out. There is a spot for everyone, from the little tykes to the full-grown adults, that want to play like children. Perks of working at WaterWorks Park - Scholarships for School! This year WaterWorks Park will be giving away four (4) scholarships for students attending school for the Fall 2016 season. We firmly believe that to support our community we need to support the next generation of kids. That is why WaterWorks Park has decided to award 4 students with scholarships to help them reach for their goals. The deadline is August 22, 2016. Tons of new updates to the park! Spring is in the air and summer is just around the corner! We are ready for a great 2016 Season at WaterWorks Park. We have been doing tons of renovations and landscaping around the park to make it the summer time spot for birthdays, family outings and company appreciation days. Come by the park and check out all the new updates! See you soon!